Primer. The thing that makes your face look more flawless and helps your makeup from sliding off your face like a melting ice cream cone on a hot summers day. I don't always use primer. The only times I tend to use primer is (1.) if I remember and (2.) if I feel like I need it. It's not a thing I use day to day. It's more of a special occasion/evening-out kind of thing. 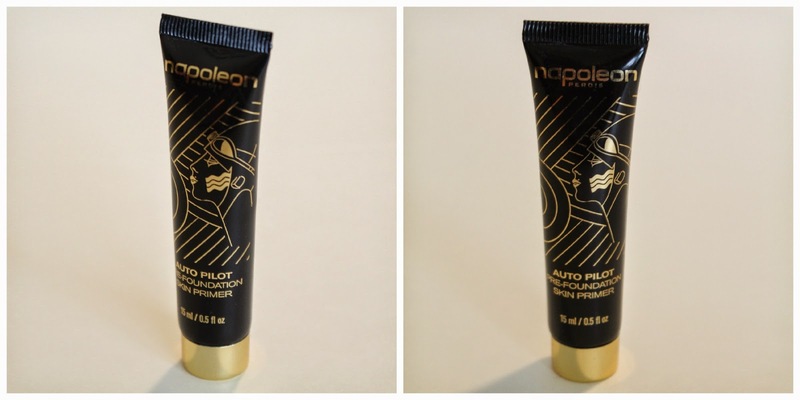 In my recent Glossy Box I received a brand I have never tried before Napoleon Perdis. When I seen it I was rather excited, I always like trying a primer to see how it can enhance my skin and hide the not so attractive features like lines and pores. This product is not something you will find at your local drug store, it's a high end beauty product and comes with a rather hefty price tag. The things I did really enjoy about this product was that it leaves your face glowing. Now with that being said it may leave those with oily skin a bit to dewy/glowing. I think it would be beautiful for those who suffer from dry skin in the winter. For my skin it seams to leave a nice glow without being to much. I've used it already on very hot days and it's kept my makeup looking pretty good. The one downside I have noticed is that I think it might be breaking me out. I'm not a 100% it's this product causing that but it might be, it started around the same time I began using it. So that's another thing to take into account. If you have acne prone skin and pores that clog easily I'd stay away from this. Overall it's a nice product. But I wouldn't say its amazing or worth the price. If you'd like to try this product for yourself it can be bought here. Have you tested out this primer? I'd love to hear how you liked it.